Did you know that your ears could sing? You may be surprised to hear that they, in fact, have the capacity to make particularly good performers and recent psychoacoustics research has revealed the true potential of the ears within musical creativity. ‘Psychoacoustics’ is loosely defined as the study of the perception of sound. A good performer can carry out required tasks reliably and without errors. 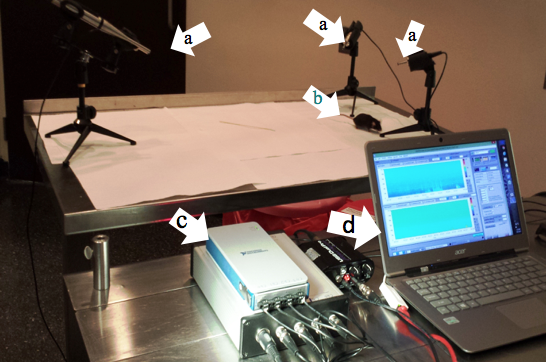 In many respects the very straight-forward nature of the ear’s responses to certain sounds results in the ear proving to be a very reliable performer as its behaviour can be predicted and so it is easily controlled. 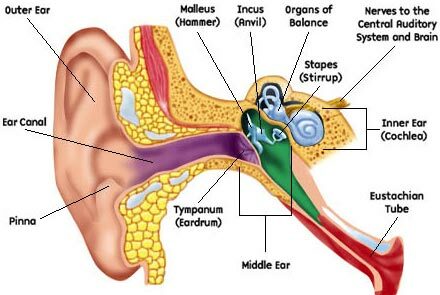 In the context of the listening system, the inner ear has the ability to behave as a highly effective instrument which can create its own sounds that many experimental musicians have been using to turn the listeners’ ears into participating performers in the realization of their music. One of the most exciting avenues of musical creativity is the psychoacoustic phenomenon known as otoacoustic emissions. These are tones which are created within the inner ear when it is exposed to certain sounds. One such example of these emissions is ‘difference tones.’ When two clear frequencies enter the ear at, say 1,000Hz and 1,200Hz the listener will hear these two tones, as expected, but the inner ear will also create its own third frequency at 200Hz because this is the mathematical difference between the two original tones. The ear literally sends a 200Hz tone back out in reverse through the ear and this sound can be detected by an in-ear microphone, a process which doctors carrying out hearing tests on babies use as an integral part of their examinations. This means that composers can create certain tones within their work and predict that the listeners’ ears will also add their extra dimension to the music upon hearing it. Within certain loudness and frequency ranges, the listeners will also be able to feel their ears buzzing in response to these stimulus tones! This makes for a very exciting and new layer to contemporary music making and listening. First listen to this tone. This is very close to the sound your ear will sing back during the second example. Here is the second sample containing just two tones at 1,000Hz and 1,200Hz. See if you can also hear the very low and buzzing difference tone which is not being sent into your ear, it is being created in your ear and sent back out towards your headphones! If you could hear the 200Hz difference tone in the previous example, have a listen to this much more complex demonstration which will make your ears sing a well known melody. It is important to try to not listen to the louder impulsive sounds and see if you can hear your ears humming along to perform the tune of Twinkle, Twinkle, Little Star at a much lower volume! Auditory beating is another phenomenon which has caught the interest of many contemporary composers. In the below example you will hear the following: 400Hz in your left ear and 405Hz in your right ear. First play the below sample by placing the headphones into your ears just one at a time. Not together. You will hear two clear tones when you listen to them separately. Now try and see what happens when you place them into your ears simultaneously. You will be unable to hear these two tones together. Instead, you will hear a fused tone which beats five times per second. This is because each of your ears are sending electrical signals to the brain telling it what frequency it is responding to but these two frequencies are too close together and so a perceptual confusion occurs resulting in a combined frequency being perceived which beats at a rate which is the same as the mathematical difference between the two tones. Auditory beating becomes particularly interesting in pieces of music written for surround sound environments when the proximity of the listener to the various speakers plays a key factor and so simply turning one’s head in these scenarios can often entirely change the colour of the sound as different layers of beating will alter the overall timbre of the sound. So how can all of these be meaningful to composers and listeners alike? The examples shown here are intended to be basic and provide proofs of concept more so than anything else. In the much more complex world of music composition the scope for the employment of such material is seemingly endless. Considering the ear as a musical instrument gives the listener the opportunity to engage with sound and music in a more intimate way than ever before.